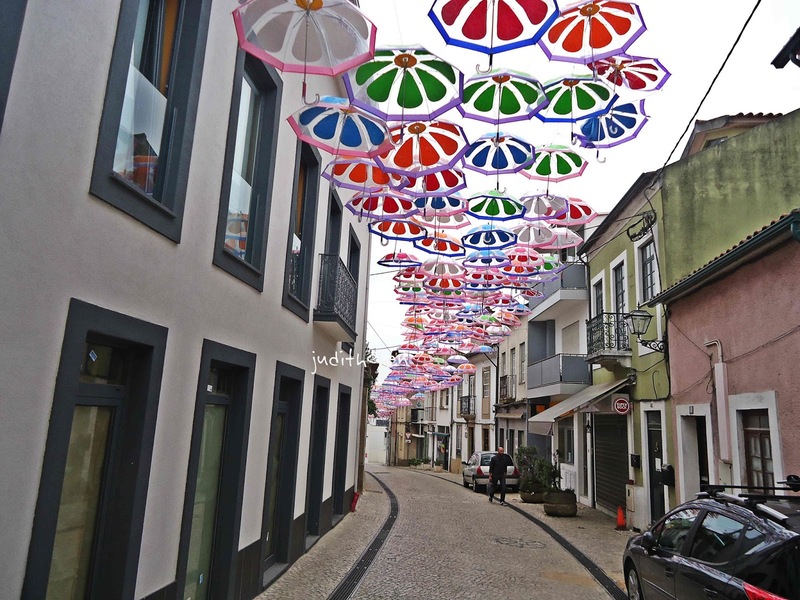 The Umbrella Road is located in Agueda, a small city in Portugal. I always dream to go there, since the first time I saw the pictures somewhere online. It wasn’t so famous until it was discovered a few years ago – well that’s as far as I remember. The Umbrella road is opened from July to September, perhaps this is something that should be mentioned due to travel plans. Though its not as popular as other tourism spot around Europe (not yet!) 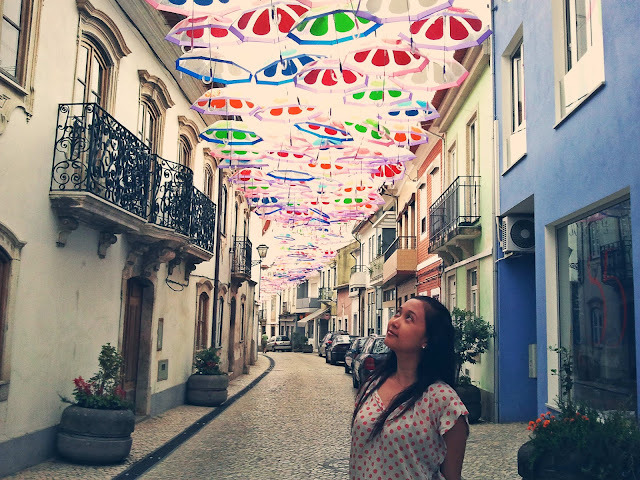 – I think due to lack of publication (there isn’t any souvenirs in Agueda regarding Umbrella Road) but the view is amusing. I hope someday someone will start making one! It’s a good start that the street next to it has quite a decent bistro. Anyhow, Portugal in general, has a very amusing view. If you travel from Europe, Ryan Air has cheap offers from time to time (to Porto- a city nearby), you just have to be patient enough to regularly check their cheap flights. One of the nicest part of visiting Portugal is the people. They are very friendly, even some of them doesn’t really speak English or any other language other than their own language – Portuguese. 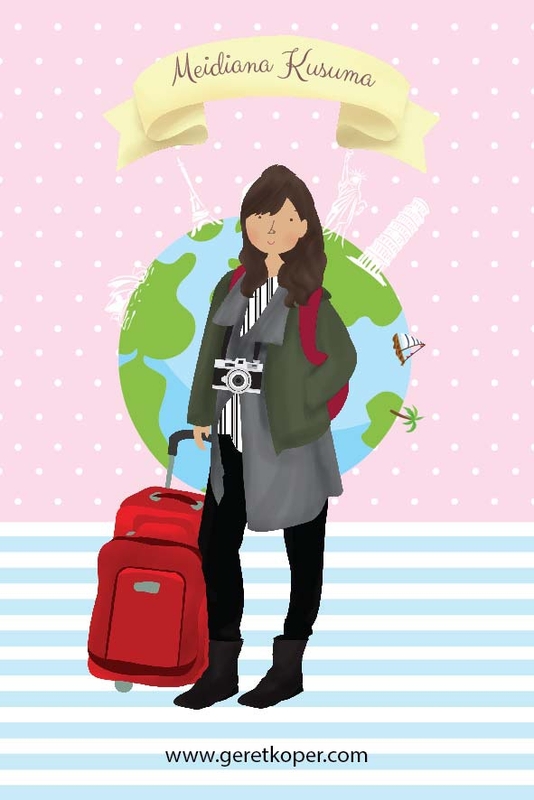 Compared to when I traveled to other European countries (I’ve been to Netherlands, Belgium, France, Czech Republic and of course Germany – I live here) the people are literally willing to try to help you-despite whether they are able to speak English or not. When you ask for direction and they can’t communicate with you, well what I experienced is, they will stop another citizen and make sure you have someone to explain it to you. Ok, back to Umbrella Road. Now, although it is very beautiful, it has some things you will have to note if you want to visit this enchanting view. First, it is recommended that you stay in another city – I would suggest Porto. The reason is, Agueda is a really small city and there isn’t many things to see other than the Umbrella Road – it is a bit remote. Staying in Porto is much more favorable because it has a lot of place to visit: a beautiful beach with free tents if you think its too hot and you’re tired to play with the water (remember the water could be cold even if the sun is more than enough to burn your skin), a port where you can walk around, take a short cruise trip for 10 euro and look around for souvenirs, old buildings in the centrum, and so on. Furthermore, the cheap offers from Ryan Air is to Porto, and not to Agueda. You can check for cheap hotels in Porto in bookings.com, I got one really cheap for 14,5 euro per night. The place and service was nice. Second, you need to pay attention to the train schedule. 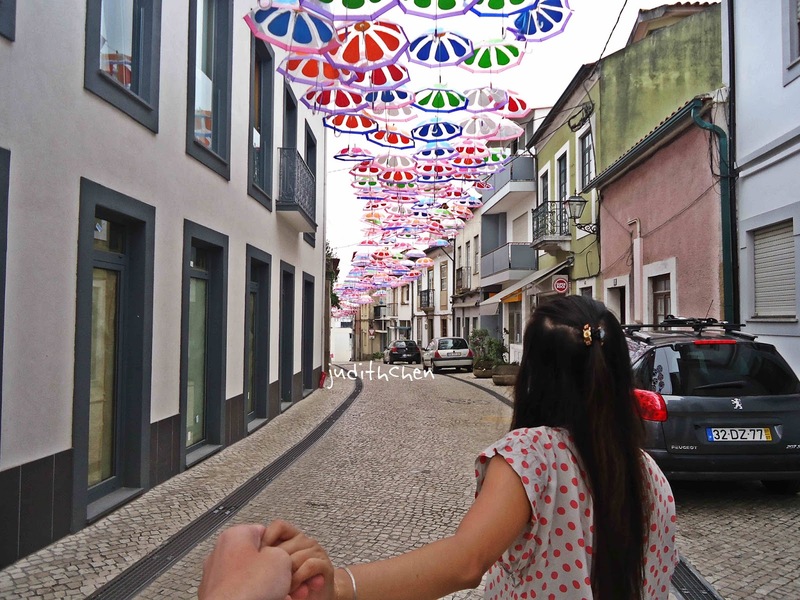 You need to take a normal train to Agueda, and before that you will most likely need to take a metro. Be careful because the cost of train for each hours is different. The economic train (its UB or something) could be only 5 euro but the IC is 25 euro. Nevertheless, generally there is only one train per two hours, so plan your trip well. Extra through the public system shock. Revenue and financial results of the public system are contained in shock system Budget stat shock.